“Continuous Support” explores the themes of self care, support, and independence through the use of a caster and alginate cast. Two hands, seemingly looping back to the same body, grip each other in a tight embrace as they support the weight of one another. 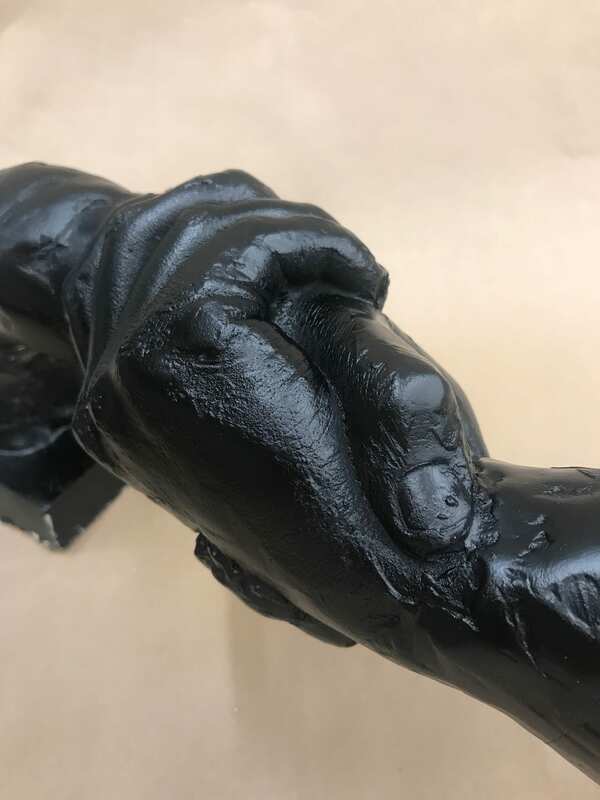 As a color associated with both fear and strength, the matte black surface provides little external reflection on the piece – rather, the piece focuses on internal and reflection of self. This process of autonomous support is not something that needs outside opinions, as it is a fully contained process that the individual has chosen to undergo.